The break appears to have happened near a crosswalk in the intersection and was erupting a visible cloud of gas into the area. 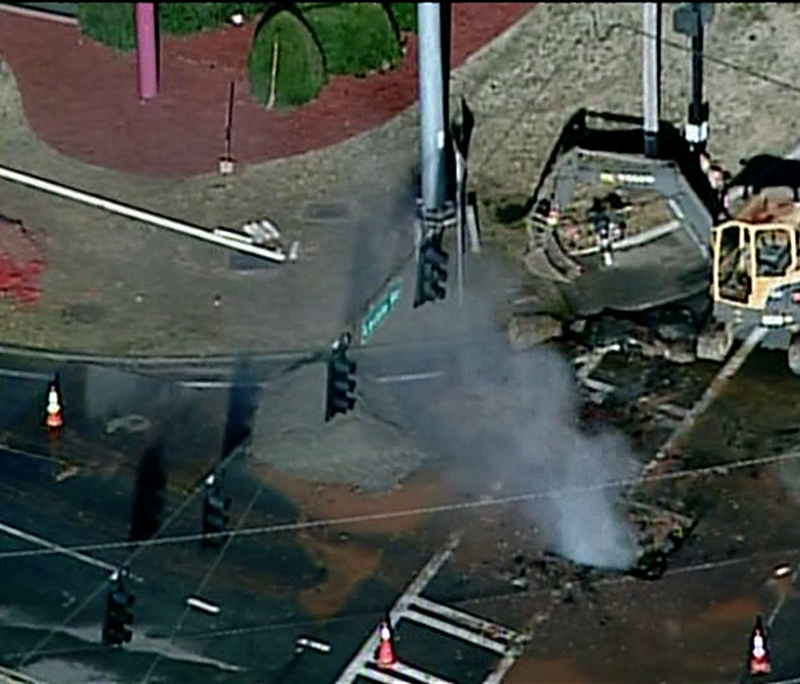 11Alive's traffic map shows northbound traffic toward Lavista Road seriously slowed due to the leak and helicopter footage from around 4 p.m. showed no traffic flowing through the intersection. At about 4:40 p.m., the Georgia Department of Transportation confirmed that the intersection is closed and will remain closed until the repair is complete. However, details on just how long the repair will take are not clear. Until then, officials are asking motorists to avoid the area. The fire department is on the scene. Check back for updates as they become available.